Dr. Ramdip Ray is a leading and renowned GI surgeon with specialization in Liver transplantation. 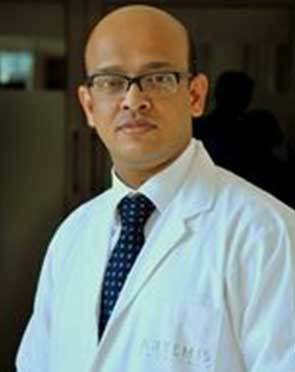 Backed by rich experience of over 12 years, he has performed a number of surgeries with special interest in GI and HBP surgery, Liver Transplant in small children, management of Bile duct injuries and his research interest is on donor outcome and donor safety of Living Donor Liver Transplant. Dr. Ray is a highly qualified and skilled surgeon with training and fellowships from renowned national and international medical institutions. He has been a teaching faculty for years in premier medical institutions and has worked for recognized hospitals in India. Dr. Ray has published many papers in acclaimed journals and is also involved in promoting health awareness. Member of the prestigious Royal College of Surgeons of England (MRCS). Dr. Ray performs 17 different procedures. Click on a procedure name to see more details and to view doctors for that specialty. 4.6 average based on 53 reviews.